RICHMOND — Drivers on Interstate 81 in Virginia aren’t likely to have pay tolls anytime soon. The General Assembly has made clear recently that there is little appetite to move forward with a plan Democratic Gov. Ralph Northam and some Republican lawmakers tentatively backed before the session started to add tolls to Virginia’s 325-mile stretch of the interstate. Legislators are moving forward with a plan to create a special account to hold money to make about $2 billion in improvements on the highway, without saying how the account would be funded. Lawmakers said they will continue conduct a yearlong study to find the best way to come up with the funding. is too often the scene of long delays because of crashes and a dedicated source of funding is urgently needed to make improvements. There are more than 2,000 crashes on the road each year, with more than a quarter involving heavy trucks. There are about 45 major crashes a year that take more than four hours to clear. It appeared early last month there was bipartisan support for moving forward with a toll proposal that would have charged trucks about 15 cents a mile and cars about 7.5 cents a mile. 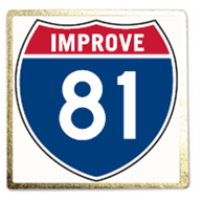 The proposal came after a yearlong study of ways to improve I- 81 and how to pay for them. The Commonwealth Transportation Board, which conducted the study, concluded its work with a list of recommendations to bring needed improvements to the heavily traveled corridor, which runs 325 miles in Virginia from the West Virginia border in the north to Tennessee in the south. “We want a solution as fast as anybody,” Vassey said Bob Roberts, a James Madison University political science professor, said another yearlong study would not change anything. Frank Tamberrino, president of the Harrisonburg- Rockingham Chamber of Commerce, said he was not sure what new information would come out of a second study.